…except maybe the hair… and the clothes… and the shoes… and the technology… and the way we take photos… You know what? Plenty of things change! Not Kinkaku-Ji Temple and its grounds though. 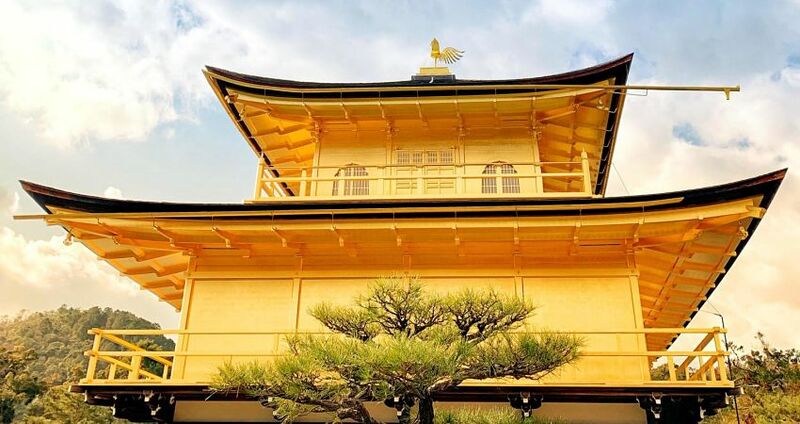 On December 18th, Shyla and I visited Kinkaku-Ji Temple (also sometimes referred to as the Golden Pavillion). On December 26th, I got an Instagram message from my dad. 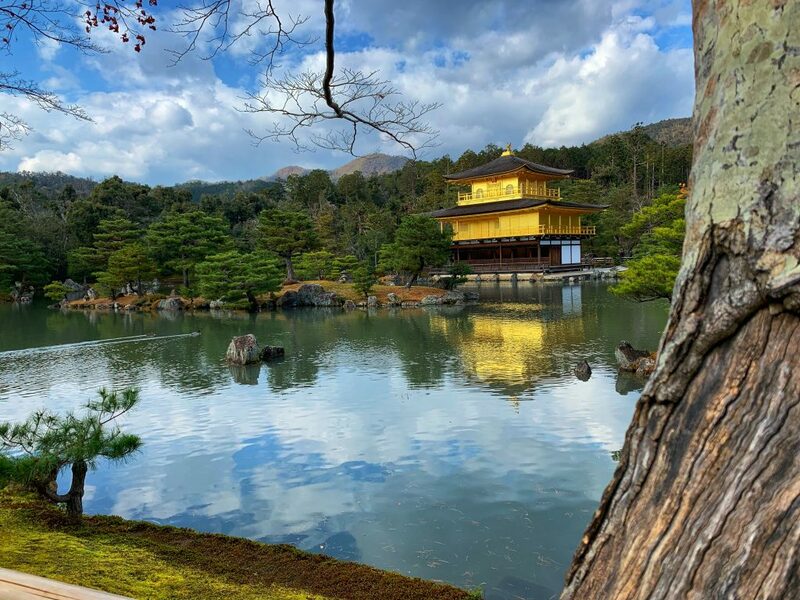 You know the picture of you in front of the pond and gold temple in Kyoto? I have a picture of me and a friend in the exact same position from about 25 years ago… Funny how things come around. 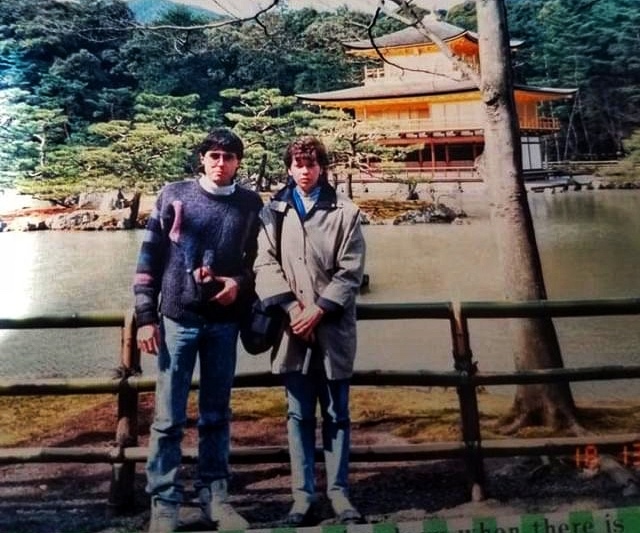 My father, who works for Honda, visited Japan in 1989/90 and we stood in the same spot, almost 29 years apart (if we are correct in placing the photo from 1989/90). In the grand scheme of things, 29 years is just a blink of an eye, especially in a country where buildings and landmarks have been around for more than 400-500 years. My dad at Kinkaku-Ji (1989/90). 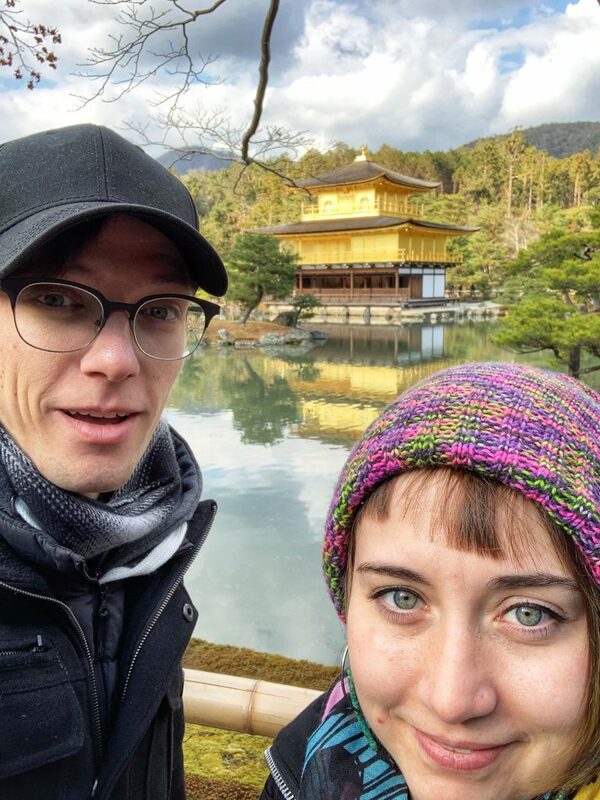 The photo was taken on a Canon Snappy S.
Shyla and I selfie at Kinkaku-Ji (2018) 29 years later! The photo was taken on an iPhone XR. I don’t think selfies were much of a thing in the 80s and early 90s, so that aspect of the photo has changed. That said, we are standing at almost the exact same place on the Kinkaku-Ji Temple grounds. Kinkaku-Ji, Kyoto the “Golden Pavillion” (1989/90). 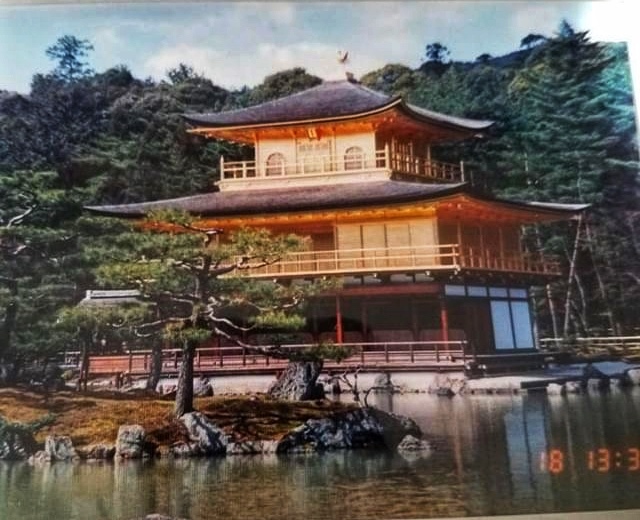 The photo was taken on a Canon Snappy S.
Kinkaku-Ji, Kyoto (2018) 29 years later! The photo was taken on an iPhone XR. It is so cool to see the same photo 29 years apart. The trees are a bit more filled out, but really not that much has changed. The building remains virtually unchanged and well preserved. I wonder if the tree in the second 2019 photo is the same one my dad stood in front of in the first photo in this post? Overall, it was so cool to see these photos from 1989/90. To know that we were almost in the exact same spot, 29 years apart, in a place over 10,000 km away was really special. Although not quite the same, it brings to mind a widely circulated story from earlier this year. A story about a husband and wife that appear in the same photograph 11 years before they met. It’s funny what photos reveal and the stories that they tell. ***Disclaimer*** I got permission to post that photo of my dad from the late 80s.